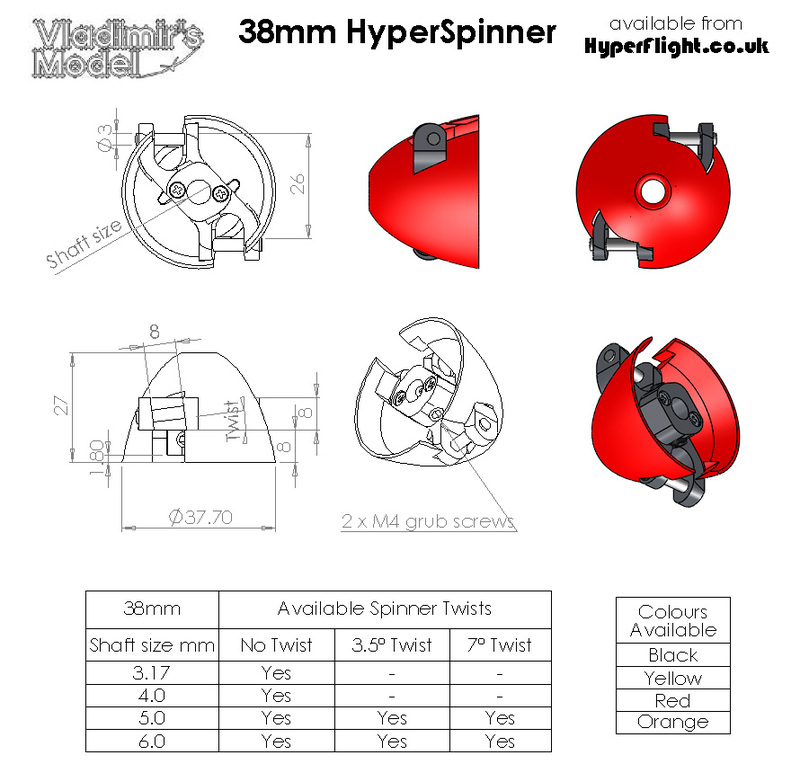 Vladimir's Models HyperSpinner/HyperSpinner Power for 8mm root folding propeller blades, suitable for AVA-Pro, Supra, Sprite, Mini Graphite and all models requiring a 38mm spinner. The machined alloy yoke (centre piece) in this version has a centre boss to provide a better attachment to the motor shaft. Two polished steel hinge pins securely mount the prop blades and unlike other designs do not have stress raisers where the thread ends. Two grub screws are used to securely attach the assembly to the motor shaft. These 38 mm spinners are currently being rebranded from Hyperspinner to Hyperspinner Power as they have a central boss similar to the other Power HyperSpinners. No actual change has been made to the design, and we will be selling them under both names until the old stock is exhausted. This 38 mm HyperSpinner yoke has a centre boss providing more metal adjacent to the motor shaft, allowing the spinner to be used in higher power application. 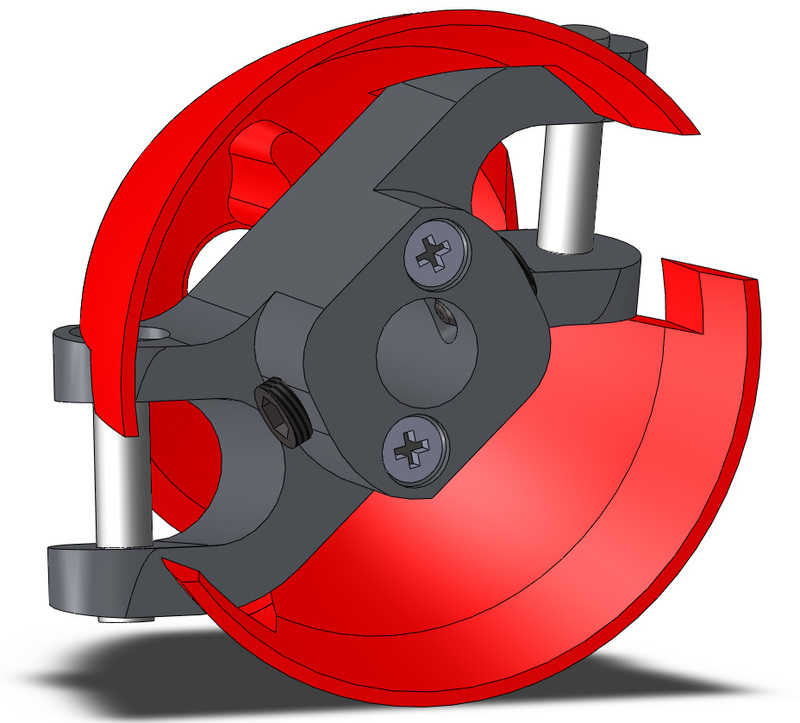 The accurately CNC machined aluminium yoke ensures smooth operation and good power handling. The cranked yoke design allows the prop blades to fold closer to the fuselage than with a conventional design, reducing drag. 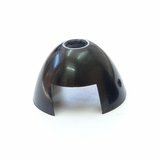 Supplied with a tough black plastic spinner cone that absorbs hard landings without cracking. 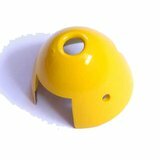 Other colour spinner cones available as spare parts. 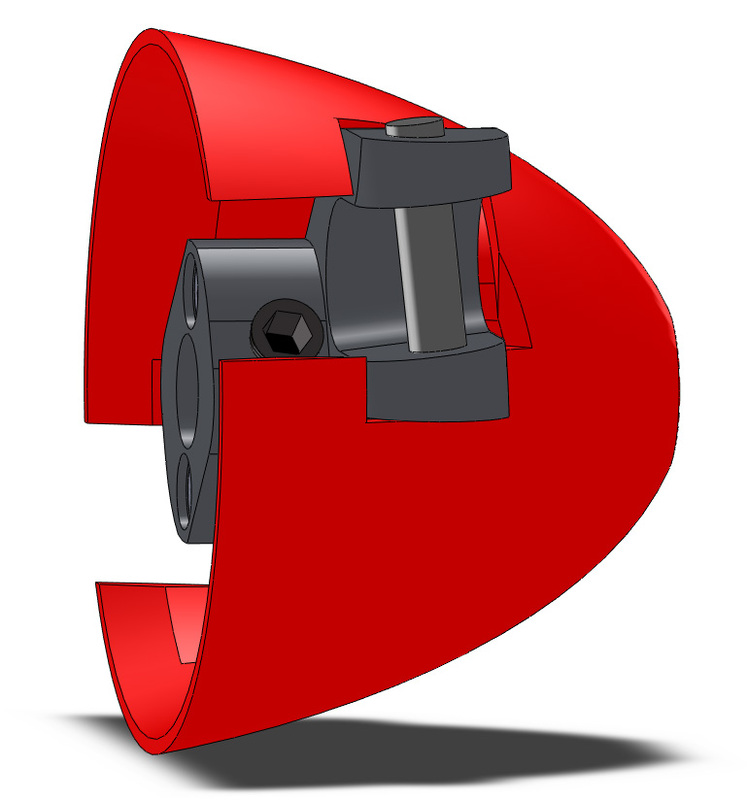 The spinner front hole reportedly allows "turbo" motor cooling, if suitable holes are drilled in the firewall. Supplied with an Allen key for easy fitting. Note these products come complete will all screws and a black spinner cone. No other items are required apart from the prop blades. We're pleased you would like to review 38mm HyperSpinner Power for 5mm shafts. Great spinner fits my Mini Graphite perfectly, the pin system to hold the props in place is super easy to use too. Looked for a new spinner that would keep blades closer to fuse. My euphoria loves it! A bonus is the space to insert an elastic over the blades. Very happy with purchase. I've had a few of these before, excellent quality and design. Really nicely engineered spinner with grub screws to secure onto motor shaft - more secure than collet adapters. Cool nose opening for motor cooling. Great service from Neil at Hyperflight,as always!! After providing the details of the motor, prop size & model, I was told this spinner was suitable. Not so. My prop would not open fully or close flat on the fuselage.Also the centerpiece would not fit the shaft . A refund was not offered. Very disappointed. No stars. 1. The customer selected the spinner size himself. 2. His prop didn't open fully. We suggested he trimmed the plasic cone to allow this. This is normal practise and does not weaken the assembly, as all the strength is in the aluminium yoke. 3. He didn't want to do this. We concluded one of our emails with "you're welcome to return should you prefer." The HyperSpinner is an elegantly engineered device that demonstrates the benefits of simple design. 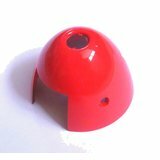 The turbo design also has the benefit of providing a cooling air flow into the fuse. I am using the HyperSpinner for an electric conversion of a Great Planes Bird of Time glider. Thnaks to Hyperflight for prompt customer service. 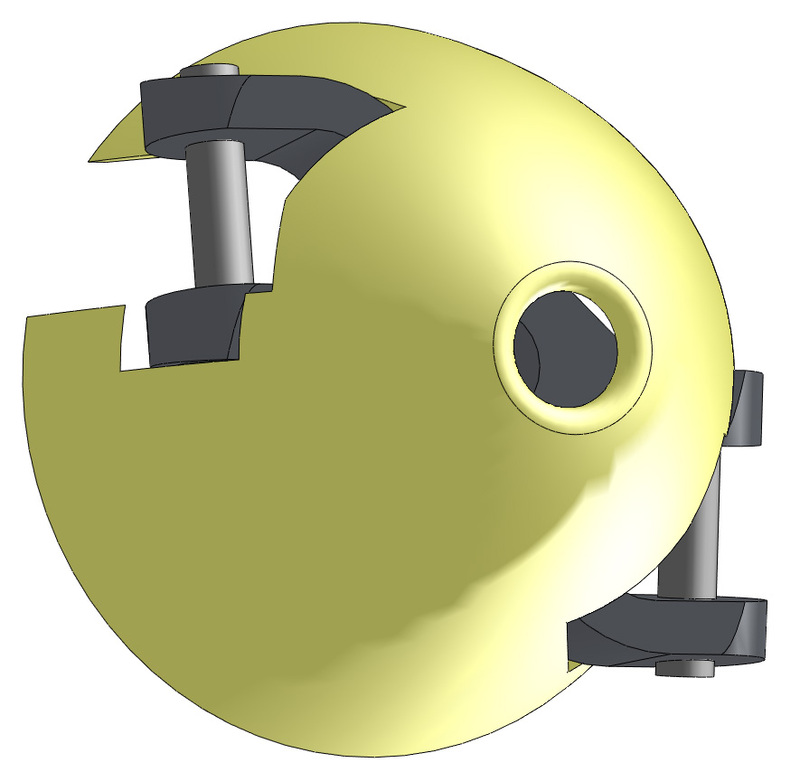 The yoke is beautifully designed and machined. The grub screws seem to hold adequately even without flats on the motor shaft. The spinner is much lighter than any other brand, which is a big plus for me . I really like the way the blades fold tight against the fuselage. During some ground runs it was very obvious the back edge of the cone was expanding by up to 5mm in diameter at 10,000rpm. It doesn't quite go back to shape afterwards. Admittedly the motor rpm (playing with a 4S and small prop set-up) was higher during those tests than I plan to use long term, but it is a bit of a concern. The cone no longer matches the fuselage diameter. Perhaps there should be an rpm limit on the 38mm size at least? Maybe 8,000rpm max? The smaller diameters may not have the same issue because of the lower centripetal acceleration on the smaller radius? Excellent speedy service, cannot fault at all. The spinner is a very neat design that results in the blades fitting much more cleanly against the fuselage than with conventional, 'yolk' designs. The spinner itself is made from a soft pliable plastic that required a little cleaning of mould flash and trimming to accept the (Aeronaut) blades before use. It will accept 'plastic' paints once roughened. The metallic parts are very nicely formed and have a green/gold anodised type of finish. Overall, I consider it well worth the money compared with the alternatives and will probably fit them to future aircraft in preference to the spinners I have fitted in the past. Serious bit of kit and good value compared to some others. Neils service is as ever top notch. Ordered this from overseas and it arrived in about 1 week. Very fast, considering. Spinner works great on a geared out runner with about 600 watts drive power. I would just like to pick up on Spyke's comment on these prop adaptors / spinners. I have just spent a "confused" 1/2hr trying to get a pair of Aeronaut carbon 11.5X7 blades to fit into the yoke... my Ava Pro E has Aeronaut 15X8 Aeronaut CAM Carbon blades and they fit perfectly,& fold back without fouling the spinner. After a bit of head scratching I realised that there is a difference between the Aeronaut Carbon & the Aeronaut CAM carbon blade roots, the end of the blade root on the CAM blade is 2 to 3mm less than the plain Aeronaut carbon. I checked also with my Falco & Graupner blades and both of them would also need 2mm sanded off to allow them to open or fold back as the spinner would interfere. While this is easy enough to do, it isn't ideal from a structural strength viewpoint. Would it be possible ti lengthen the arms of the yokes by 4mm, and move the pivot pin holes out by 3mm, then an even greater range of folding blades could be fitted? Well designed and machined centerpiece. Good snug fit on motor shaft and 4mm grub screws for tightening instead of usual 3mm. The blades fold close alongside the fuselage and potentially offer less parasitic drag but it does look a lot better. The cone is very light (possibly too light). Disappointingly, I ordered a white spare cone only to realize when it arrived that it was a black one that had received a squirt of white paint. Rather than being molded in the appropriate colour. Final note: I would purchase one again. 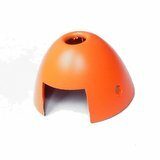 HyperFlight Note: The spinner cones are manufactured from a strong plastic that is not available in all colours. By painting them Vladimir is able to use the best material for the cone, and colour it exactly to match the fuselage colour. Upon receiving my package and inspected the contents, everything was in place, well packed with a packing list of the items was a welcome sign. The product quality is top notch. No rough edges, all with fine finishes. Can tell that it was machined from a quality CNC machine. Fits my MVVS 5mm motor shaft like a glove. IMHO, i actually prefer this fail proof grub screw attachment design, it sure takes some weight off and less motor load. The only problem I have is the throat that I tried to fit my Aeronaut CAM props with 6mm throat, I need to file it down bout 2mm from the root or else the prop will just not fold. If the throat allows universal prop fitments without needing modifications. 5 stars will not even do justice to this great product. HyperFlight Note: We are not sure what Spyke refers to. 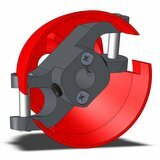 All our spinners work with 8mm root width propeller blades, as manufactured by Graupner, Aeronaut, RFM, etc. However as prop blades are to many different designs and to varying manufacturing qualities it is usual to have to adjust the blade and or spinner cone to allow free and full movement. I like the theory behind these spinners, in that they fold the prop more or less flat to the side of the model, when the motor is off. 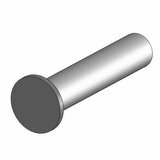 I must amit to preferring the collet type of attachment to the motor shaft, but it was pretty painless grinding two flats on the Kontronik 5mm shaft, so as the two grub screws would hold to the shaft. You will need a Dremel type tool to do this plus a small mounted grinding point of say 1/4" dia to achieve this. The whole process of fitting to the model took about 15 minutes. This included taking the old Graupner assembly off, changing the blades, grinding shaft etc. A plus is that it is easier to fit a rubber band to assist folding to the fuselage, than on the Graupner assembly. The whole unit is very nicely machined & well thought out. Downside is that the range does not go above 38mm dia, which is a shame, as I would fit them to all my models, if available.